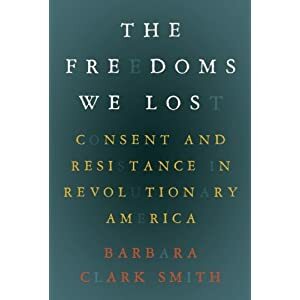 Barbara Smith is the author of "The Freedoms We Lost: Consent and Resistance in Revolutionary America," just issued by The New Press. There was little that was “conservative” about the event. A mob seized and destroyed private property. Conservative interests at the time deplored it, and the respectable descendants of the Revolutionary generation did their best to forget it when they wrote up their official accounts of the Revolution. It was not all about taxes. The colonists who dumped tea in Boston harbor did not oppose taxation by representative governments. They routinely voted in town meetings to support the poor and pay for common goods such as roads or public schools. From time to time they dug into their pockets to pay off public debts created by expensive wars. They did not worry much about the likelihood of taxes going to “freeloading” poor people or immigrants, because they knew that government is rarely controlled by the poor or the newcomer. Far more likely—far more dangerous—was an alliance between government and the already wealthy and well-connected. It was about the power of private interests. As colonists saw it, Parliament had been corrupted by the influence of money. First, opulent West Indies planters had promoted the Sugar Act to boost their profits. Wealthy Britons had supported the Stamp Act in order to cut their own taxes. Now shareholders of the East India Company hoped to reap a windfall off a monopoly on the tea trade. All these measures served special interests at the expense of ordinary colonists in North America. Rather than defending the tax breaks of the wealthy or the monopoly privileges of private companies, the original Patriots championed the wellbeing of middling households. It was about the obligation of government to regulate economic transactions. Eighteenth-century Patriots assumed a principle of public activism. Samuel Adams explained in a Boston newspaper: Governments might oppress the people by grabbing too much power, but oppression also occurred when governments were too weak. Government existed precisely “to protect the people and promote their prosperity.” In normal times, people expected government to limit monopolies and excessive profit-taking. In the imperial crisis, Patriots insisted that countless transactions—not only tea sales—should come under public scrutiny and serve the common good. What justified destroying the East India Company’s tea was the principle that public good trumped corporate profit. It was about the distribution of wealth. Americans’ ancestors had been uprooted from the British countryside as great landowners amassed more and more of the land. In North America, many English settlers had achieved a sort of middling security. Now that security was threatened. Parliament was taking the side of the rich, and some rich Americans were taking the side of Parliament. The danger was the impoverishment of everyone else. The Patriots believed that a rough economic equality was necessary to maintaining liberty. Viewed accurately, the original Patriots would sadly disappoint today’s Tea Party activists, who promote a far different political philosophy. Of course no one today needs to agree with eighteenth-century ideas, and we know that the Patriots had their profound flaws. But we must object when present-day interests sidestep good-faith discussion of the merits of their position by misappropriating the founding generation. The principles of today’s Tea Partiers may (or may not) be correct, but they cannot establish it through sleight of hand, blithely invoking the founders while ignoring those founders’ ideas. The rest of America should not be intimidated by unfounded claims that Tea Partiers are the “real America” or that their values are the ones that originally won American freedom. Those claims fly in the face of history, and they contribute little to our ability to address the massive problems that we face as a nation. The basic problem is that most Americans are fat, lazy, and stupid. Simple sound bites are made for simple minds. Thus you end up with the Tea Party.